Rules and Requirements: Rides are 15 minutes long. Arrive a minimum of 5 mins prior to your scheduled start time for check in and rules. If you arrive after your group has started on the ice, you will NOT be admitted and will NOT receive a refund. No skates required to have fun this winter! 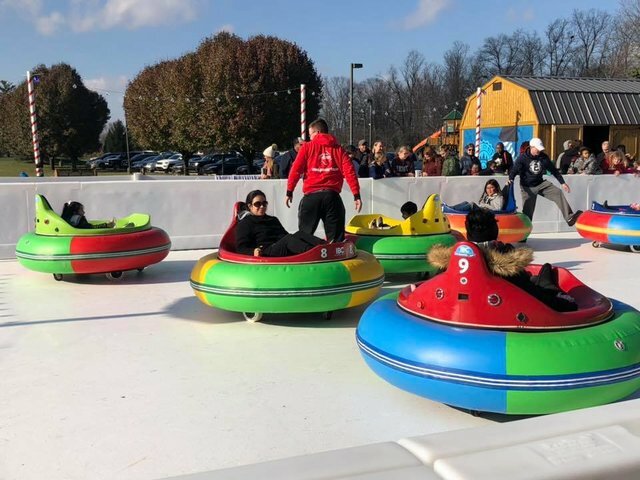 Come check out the newest thing to hit the ice in the Indy area - ICE BUMPER CARS! Riders MUST be 5 years of age and 36 inches tall to ride alone. If they do not meet these requirements, they may ride with an older sibling or another adult.